Staff and pupils at St Edmund Campion school celebrated World Mental Health day this week. 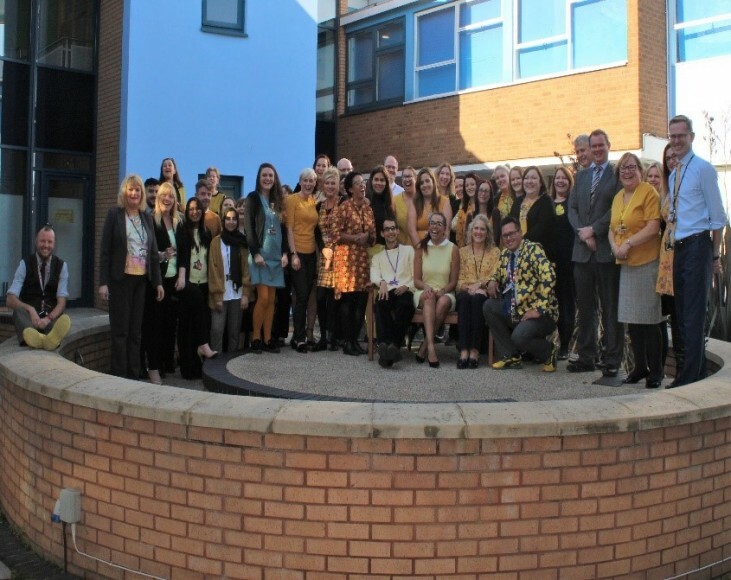 Staff by wearing something yellow and pupils adorning their uniform with yellow to show their support for anyone suffering from mental health concerns. Pupils have had assemblies over the last two weeks on Mental Health and have had PHSE work to complete on the subject as well. We have looked at stigma and discrimination and the areas of mental health and some signs to look out for in our friends. We appreciate the pressures some pupils are under and at times they will feel anxious. This is such an important issue for our students and it can have a huge impact on them affecting them in many ways. Pupils have been given the opportunity to discuss any issues they may have with our safeguarding team and some pupils have volunteered to become mentors as well which is fantastic. There are so many people willing to support you, just reach out.